lucrative demographic, the most powerful group, at least when it comes to spending, is still the baby boomers. Marketers understand that about 70 million people from this generation will be entering retirement over the next ten years. However, there are things that make baby boomers unique. For one, they are an affluent group and retirement gives them a lot of free time to shop and flex their spending powers. According to Forbes, boomers will inherit about $13 trillion over the next 20 years. Just because baby boomers are mostly retired doesn’t mean they want to sit home and watch TV all day. Many people of this generation have the financial means and the desire to pursue the activities they didn’t get the chance to do when they were raising kids or part of the workforce. These retirees plan to travel to exotic locations, go on safaris, and skydive. While the marketing tactics you’ll need to use to get their attention may be different from other demographics, don’t assume that certain products and services won’t appeal to them just because of their age. ad copy will not be appreciated. Boomers want to see information clearly printed out, so don’t be afraid of old-school, text-heavy advertising methods. A better approach for this generation is copy that’s straightforward, instead of today’s creative bells and whistles. Ad copy for boomers should address every possible question they might have. All the relevant answers and details should be included in direct mail ads, brochures, and on websites. Aside from being more receptive to traditional marketing styles, baby boomers are also very careful when making purchases. Unlike the more flighty millennials, boomers consider each purchase an investment and will take time to study every product before making a decision. Their static budgets also mean this group is more careful about spending outside their limits. Boomers need to trust the brand. They need to fully understand the product, identify with other users and develop a rapport with the seller before making a purchase. 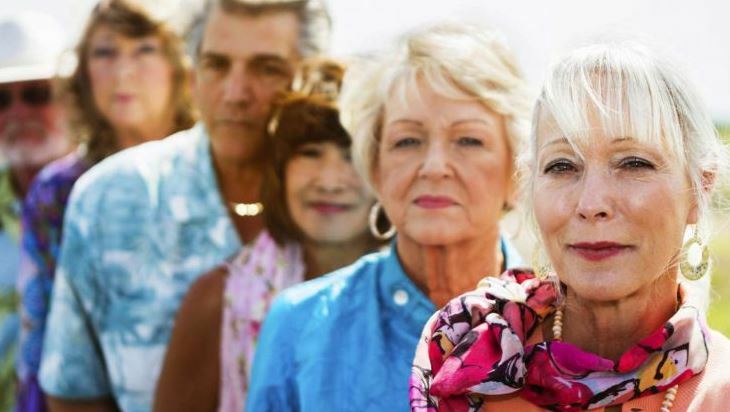 While salespeople and marketers might be able to close a deal with a younger demographic with just one or two calls or emails, they would probably take a longer time handling senior consumers. Retirees have more free time on their hands which makes them more inclined to have lengthier social interactions with family, friends, neighbors and even salespeople. This opens a singular opportunity for a sales team to create sincere relationships with these potential clients. Sales teams should be prepared to invest time with a boomer. After all, the person at the other end has the luxury of time and willingness to listen and absorb your product’s features and value. Marketers should remember that baby boomers grew up with technology. This generation has made use of a plethora of different technologies since the introduction of the first black-and-white television set. This makes them unintimidated by more recent technologies like the internet or social media. In fact, the baby boomer generation spends as much time online as they do watching television. Studies show that 96% of baby boomers use search engines, 95% use email, and 92% shop for products and services online instead of shopping in stores and shopping malls. Statistics also show that baby boomers are the fastest growing age demographic on Facebook, with an 80% rise in users between 2010 and 2014. By marketing your business to this generation through the web or social media platforms, you increase your chances to interact and do business with them.